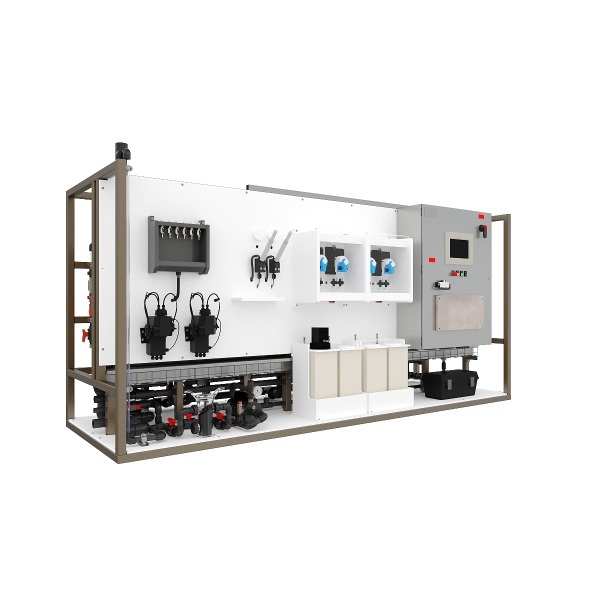 Module consists of a feed pump, three stage rapid mix, three stage flocculation, inclined plate sedimentation, automated sludge removal collector, and five chemical feed systems. Feed flow is maintained through automatic PID flow control. Mixers are variable speed with direct entry of mixing gradient setpoint. Mixers and drives near wetted process are low voltage drives (24VDC). Sixty-degree inclined plates allow for high rate sedimentation. Plate length is 30.75” (83.8 cm) with the gap distance between plates adjustable by removing plates. Sludge vacuum operates at a constant speed and withdraws sludge only while in motion. 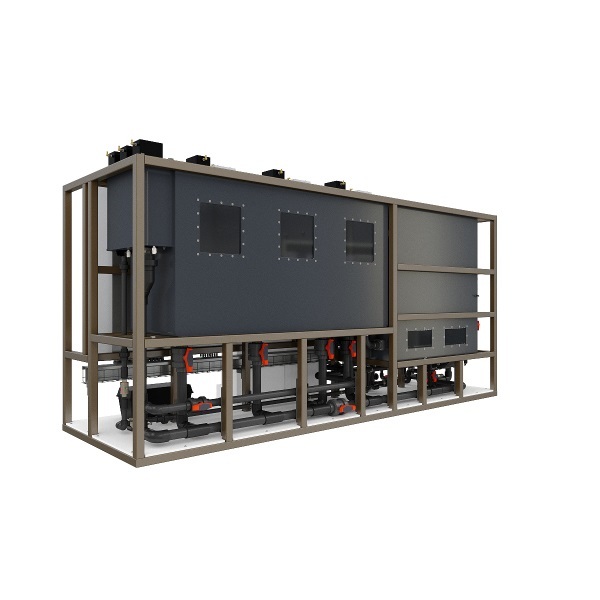 Withdraw rate as well as rest time between cycles can be adjusted depending on sludge removal requirements. Chemical feed pumps are flow paced with direct entry of chemical dosage. Other features include automatic data logging of key parameters, secure remote monitoring and control over the internet, and email alarm notification.